There is a universal coping mechanism utilized by anyone who has lost a loved one, relative or close friend. We delude ourselves into the slight believe that they will return to us. If only to give us the ability to say goodbye. 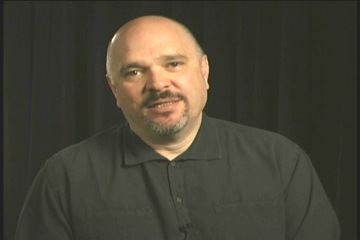 In 1991 Anthony Minghella wrote and directed his first film, "Truly Madly Deeply". Avoiding many of the over-sentimental trappings of romance films he has created what surely what must be regarded as a masterpiece of subtle compassion, comedic gestures, characterizations and musical infusion. 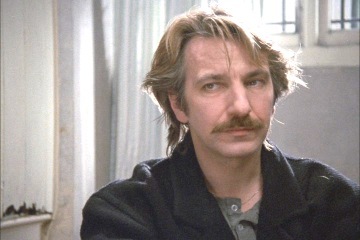 It's no wonder that Saul Zaentz had him pegged to take the helm of "The English Patient" 4 years later. 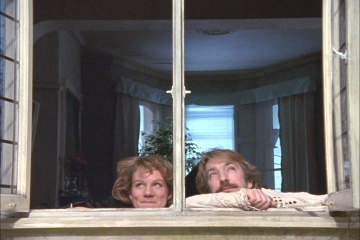 Juliet Stevenson, is an intelligent actress who usually portays intelligent characters. I would put her in the vein of an Isabelle Hubert or Susan Saradon. Here she plays Nina, whose bereavement, over her cellist husband Jamie, has taken over her life. She sees a psychiatrist to help her resolve this but continues to have fits of elongated sobbing. In one of the most touching scenes that I can remember seeing in modern film, she plays the a piece on the piano and we hear a cello accompaniment. As the camera pans back, we see him gracefully sliding the bow across the strings behind her. When she come to realize his existence she is understandably over-wrought in a flood of emotion. Filled with offbeat and wonderful characters, Julie's life was still stagnant until she resolves her issues regarding Jamie's passing. Her effective therapy is in fact his arrival, back from the deceased. It could easy be compared to "Ghost" for its plot, but perhaps a much more complete and mature version of that Hollywood fluffery. 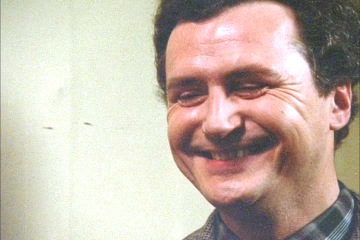 Each step in the film is another in "coming to grips" with her perceived abandonment by him. "I did love someone... but he died" she cathartically explains to her potential new love interest played by Michael Maloney. Jamie does not come back to Nina alone, but rather with a collection of eclectic spirits, floating in the same ether as himself. 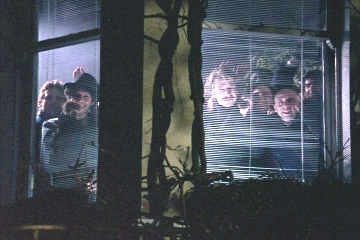 Inputting a little of his own film-buff character, Minghella has the ghosts be intense film fans." 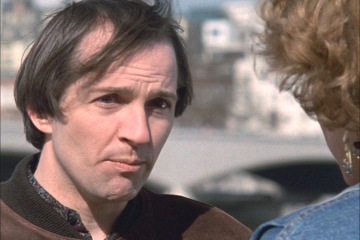 'Five Easy Pieces,' " says one dead soul, "or 'Fitzcarraldo'? " 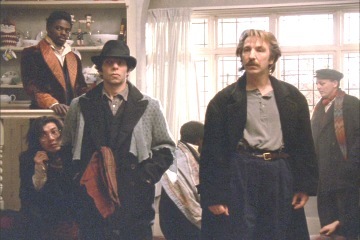 as they decide on which video to watch in Nina's now overcrowded flat. There is much wry humor in the film but not of the slapstick burst-out-loud variety... more like bringing a warm smile to one's lips instead. 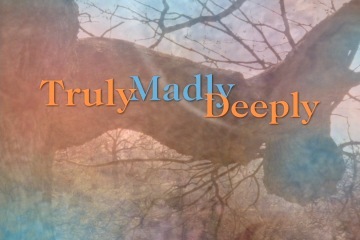 "Truly Madly Deeply" in a general sense is about "letting go" and getting on with one's life. The appearance of Jamie was to support Nina with this transition. Her sensitivity and deep feeling for him were injuring her and she needed his farewell and approval to move on. Very close to a perfect film with every detail carefully thought-out by Minghella, I give this a rousing out of . 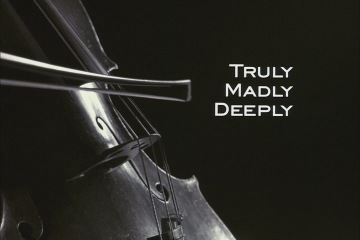 Originally made for BBC television "Truly Madly Deeply" is not a widescreen production. The commonly thrown around phraseology "Pan and Scan" is not accurate here. 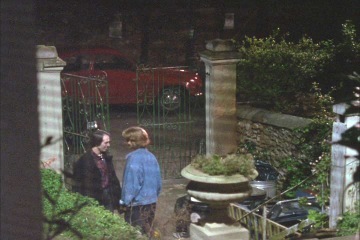 The film was made at a 1.33:1 ratio ( OAR ) and it therefore fills the square of your television screen. This DVD is packed: an audio commentary from Minghella, a video interview with him, a theatrical trailer and 16 chapter stops, adequate for the 107 minutes. 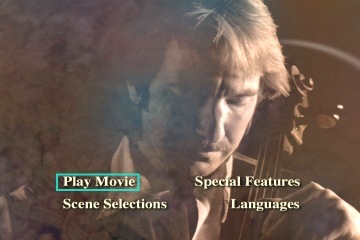 The animated menus are also a delight with more cello music played as they transition into each other. The picture quality is wonderful and bright. Also an enthusiastic out of for the DVD.